Chidambaram revealed that enough economists and experts have been consulted, and there is enough data to identify the families who qualify for the scheme. 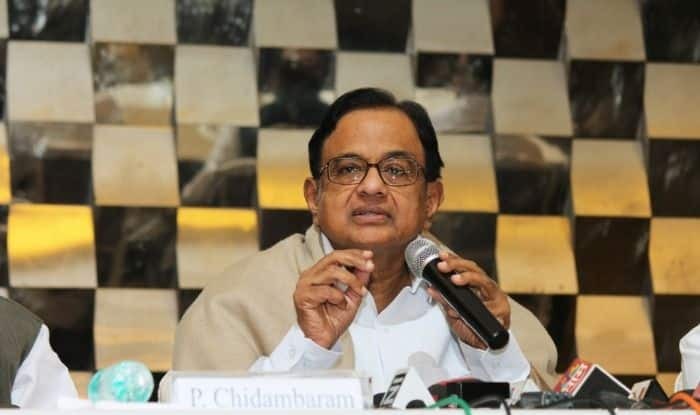 The Congress party’s minimum income guarantee scheme will be rolled out in phases and the five crore beneficiary families will be covered in phases, senior leader P Chidambaram said Wednesday. Addressing a press conference in Chennai, the former Finance Minister said ‘enough’ economists and experts in the subject had been consulted and they broadly agreed that India has the capacity to implement the scheme. Former RBI Governor Raghuram Rajan has said the implementation of the scheme is possible, Chidambaram added. “Our calculation shows that it will not cross 2 per cent of the GDP, it will be 1.8 per cent of the GDP at any given point of time,” he said. “The scheme will be rolled out in phases and we will cover the five crore families in phases,” he said. The senior party leader said the scheme has to be tested in the field and then rolled out. An expert committee will be set up for its implementation and it will design the scheme at every stage and “we will consult the committee before we move to the next stage,” he said. There is enough data to identify the five crore families, Chidambaram said. When the 100 days employment scheme (Mahatma Gandhi National Rural Employment Guarantee Act) was implemented in 2009, BJP leader Arun Jaitley had said it was not possible to implement the scheme. Jaitley, however, forgot to say that doubling income for the farmers was not possible when Modi announced it, he said. “I don’t wish to reply to anyone who criticises a programme intended to wipe out poverty,” he said answering a question on criticism of the scheme. The Congress alone cannot be blamed for not eradicating poverty, he said adding the party had taken several measures to root it out and succeeded in several of them as well. An amount of Rs 72,000 a year, a standard amount Rs 6,000 per month is proposed to be transferred to the account of beneficiaries if the Congress is voted to power in the coming Lok Sabha elections. Poverty eradication should be accepted as an “aram (meaning dharma in Tamil), it is dharma, it is a moral duty of every government in the 21st century,” he said. Had the scheme been important for the BJP-led NDA, Chidambaram asked why it did not implement it in “full five budgets,” and rolled it out at the fag end of its tenure. He indicated that the Congress manifesto is likely to be released on April 2. On March 25, Congress chief Rahul Gandhi Monday said 20 per cent families in poorest of the poor category will be given Rs 72,000 each annually as a minimum income. Gandhi had touted the promise as a “groundbreaking” measure to end poverty. The Congress president had said: “The time for change has come”. Five crore families and 25 crore people will directly benefit from the scheme, he claimed, terming it is a “final assault” to eradicate poverty in the country.